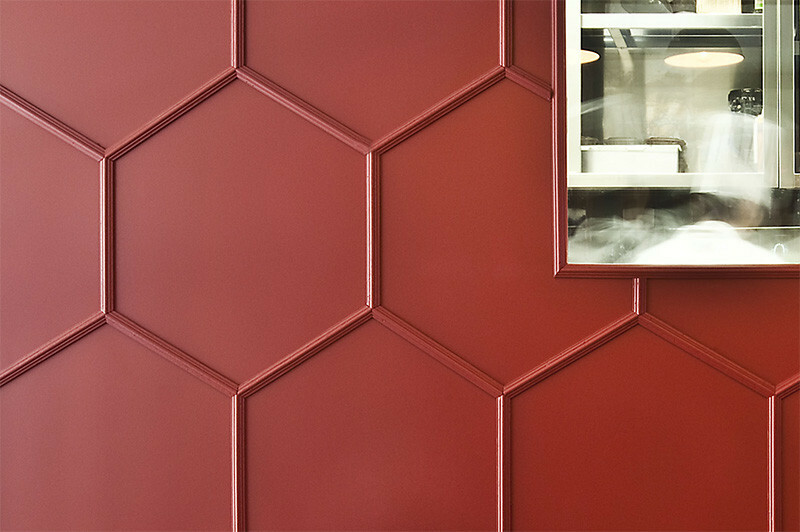 Here’s an alternative to paint, wallpaper and tiles. 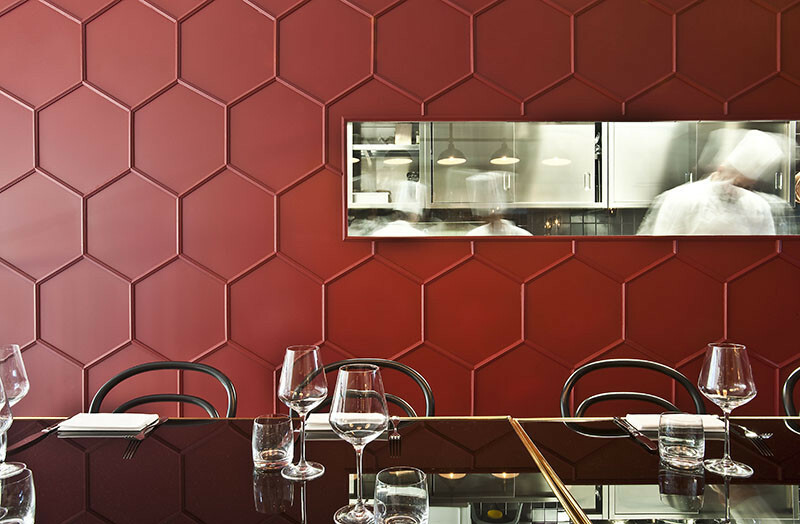 Interior designer Karine Lewkowicz, created walls of honeycomb patterns in a restaurant in Milan, Italy, that add a visually interesting 3-dimensional texture to the space. 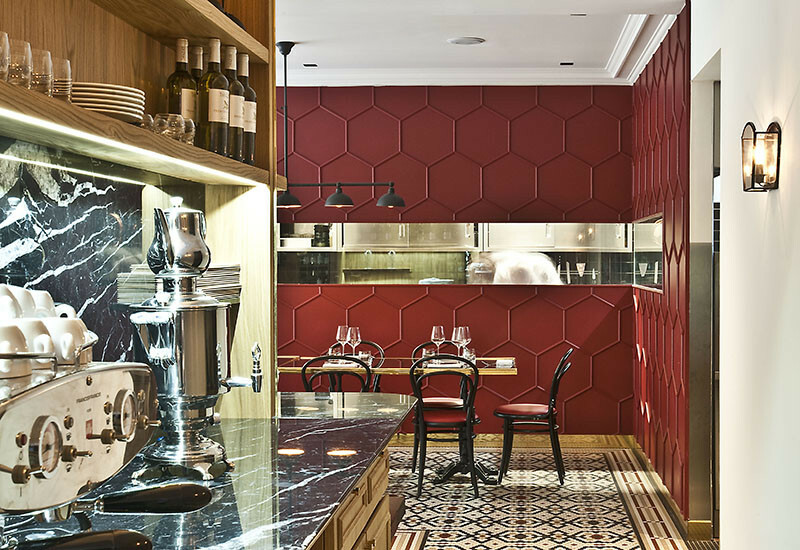 By using a common woodworking material like moulding, she was able to add a unique look for the restaurant. 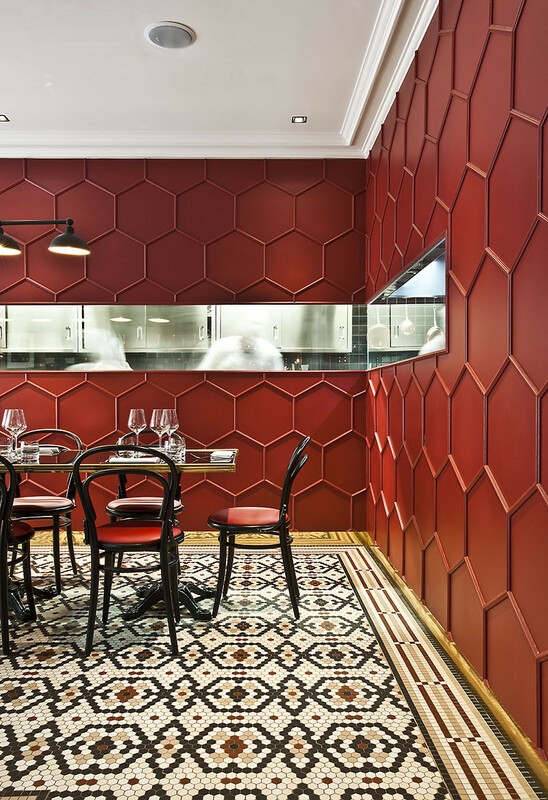 Each piece of moulding was cut to fit together, and then once installed the entire wall was painted in a deep red to draw attention to the wall and add atmosphere to the restaurant.